To visit the vineyards of Vacqueyras and Ventoux in the South of the Rhone valley at the end of August, is to enjoy the Mediterranean climate and the heat of the summer. The collars of the shirts are open to try to refresh. People are relaxed. People are happy. 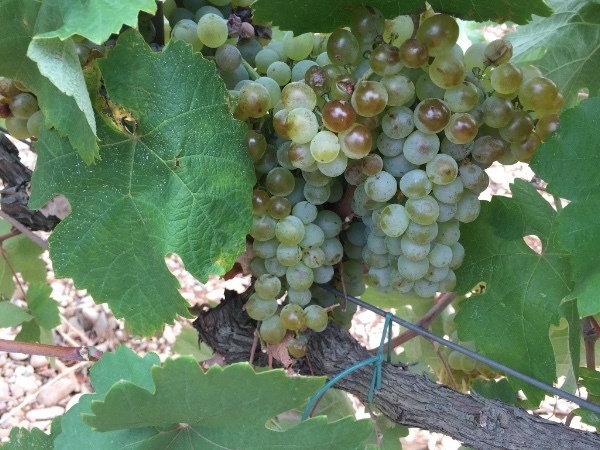 However, energy is everywhere at the moment: harvesting is in progress, tractors and their trailers filled with grapes often interrupt traffic, and you can see the colorful hats of the pickers among the green foliage of the vines: harvest has started ! 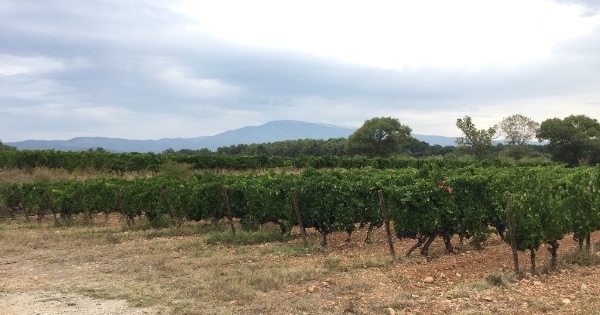 We are in Ventoux and Vacqueyras visiting the vineyards of Grappes & Terroir – the cuvées of Fanny Breuil and Thomas Oui. 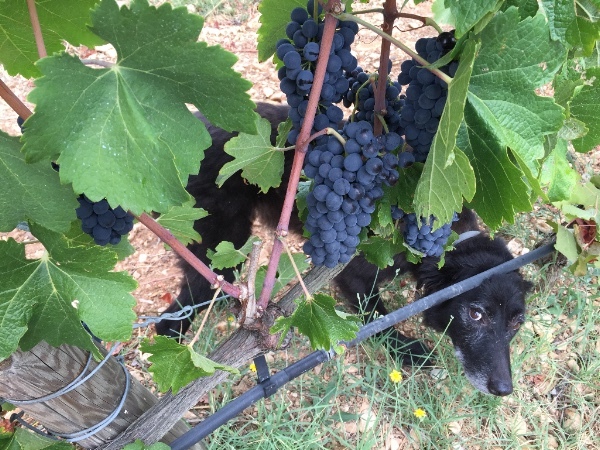 Photo 2 : Though he looks like he’s protecting the vines, this winery dog likes to snack on the low-hanging fruit when nobody is watching ! Fanny and Thomas have a long history that started when they met as students in agronomy school studying viticulture. After school, Thomas and Fanny both pursued careers in wine independently, but as good friends they remained in contact over the years. 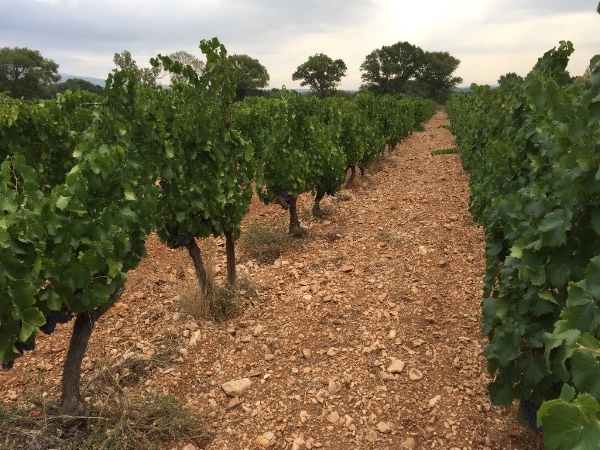 Thomas followed a path as a viticultural consultant for Organic vineyards in appellations Ventoux, Vacqueyras and Châteauneuf du Pape. 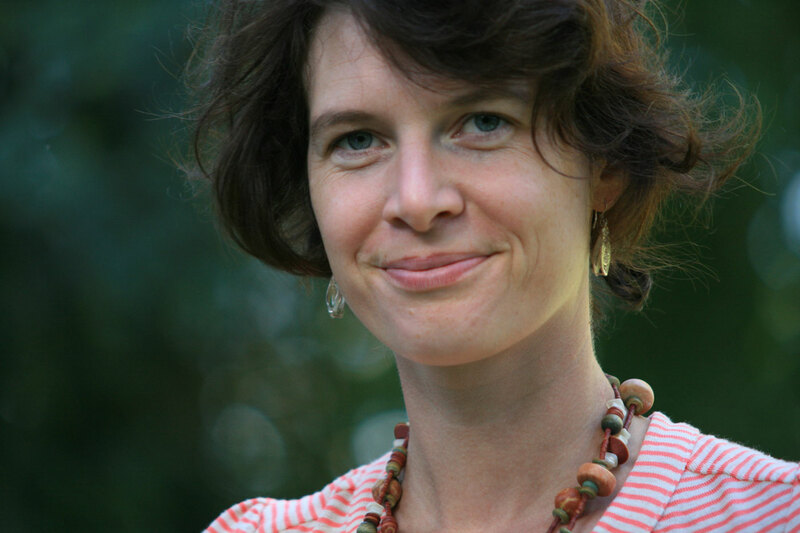 Fanny found her calling as an exporter, working with very selective portfolio of organic Italian and French wineries, with a philosophy that each Domaine only operates in organic vinification methods. However, the idea of ​​having her own label continued to percolate in her mind. Thus, it was quite natural that one day, during a hike in the trails of the nearby Montmirail, they decided to start a business together with a focus on organic wines. The driving philosophy was that the wines must be a beautiful expression of the terroirs on which the vines are planted … hence the project came to be called Grappes & Terroirs. Historically known as a minor wine appellation included in the great Southern France wine diaspora known as The Rhône, the region, has always been the grounds for large-scale wine production at a low low price, and subsequently neglected by wine connoisseurs – especially the Ventoux. 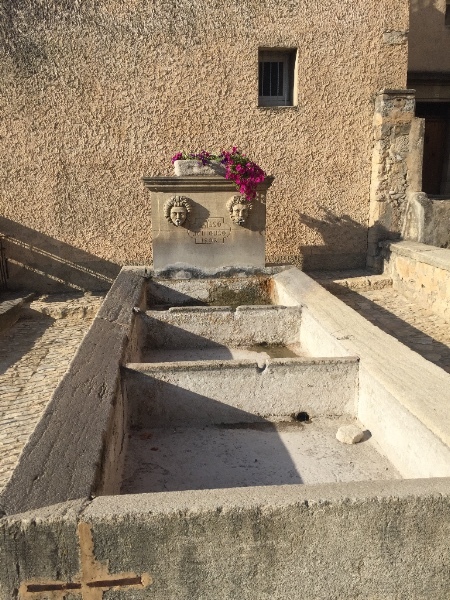 The Rhône has been the king of terroir for ages – one cannot help but associate the area with the giant “galet” stones of Chateauneuf du Pape, or the historic soils of Hermitage. 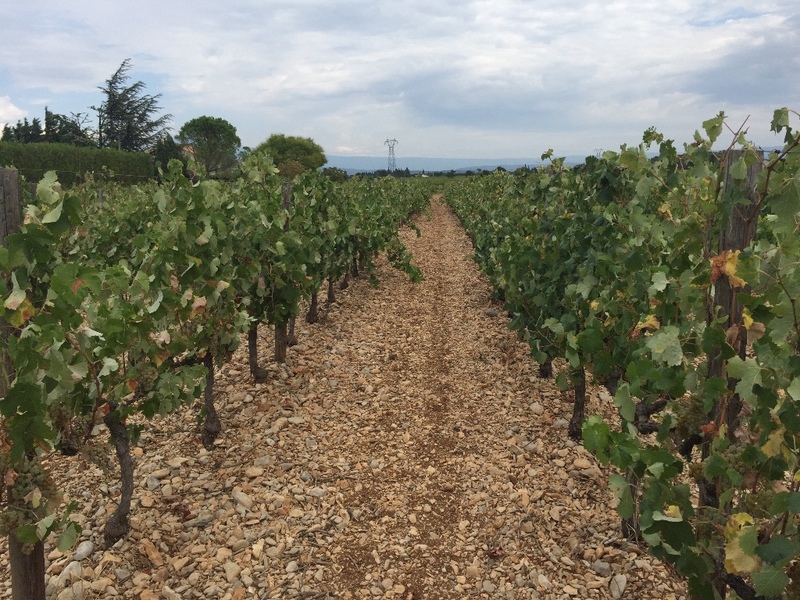 Ventoux and Vacqueyras are fortunate to share a terroir equally complex – fields of large baseball-sized rocks on top of sandstone – and full of many producers pursuing organic viticulture. Ventoux is a quite large area and can be divided into 3 sub-regions which produce wines of very diverse quality. Grappes & Terroirs only source wines from the North West part of Ventoux on the villages Le Barroux, Caromb and Mazan where qualities are best. 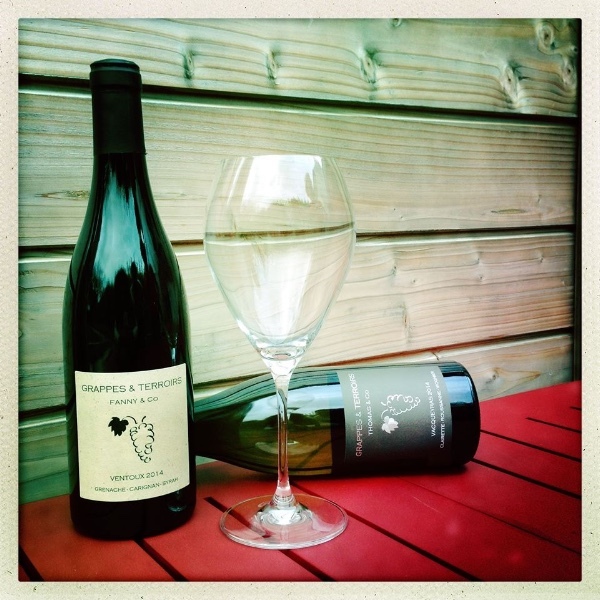 With Grappes and Terroirs, Fanny and Thomas want to produce organic wines without compromising on quality, to help talented small organic growers, and encourage wine lovers to discover the less-known varietals of the Ventoux and Vacqueyras appellations: the Clairette for white wines and the Mourvedre and Carignan for the reds. The true art of Grappes et Terroirs is in the blend. 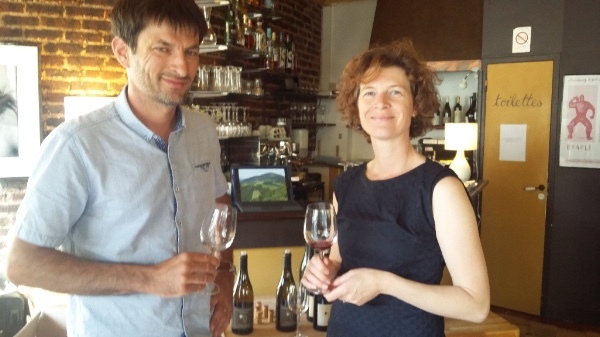 Working as a consultant for organic viticulture in the Ventoux and Vacqueyras has its benefits, and Thomas found he was in an ideal position to start working with his clients as more than just a consultant, but also by participating in the vinification. The pair collaborate in tandem to create the wines of Grappes et Terroir with just the right balance. Working with a selection of high quality producers in the region, Thomas narrows down his choices of the finished wines from his producers (and clients). Fanny and Thomas are then tasked with the job of assessing the perfect match of varietals, always considering the balance of grape typicity and terroir expression in their final product. Photo 2 : Irrigation. 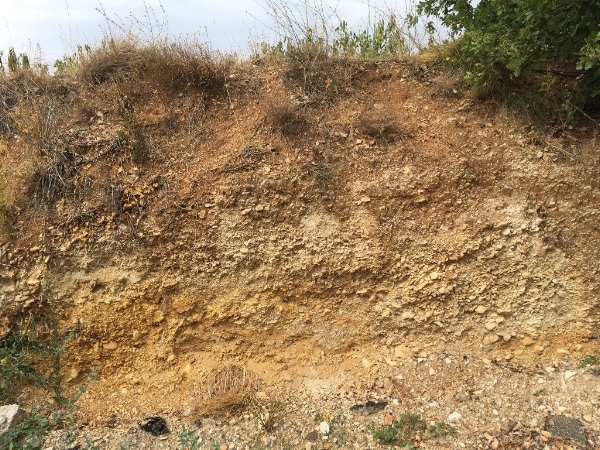 On some terroirs it has become impossible to produce good wines without water, as sometimes tillage is not enough any more. These water contributions are made with a slow drip to keep a nice level of hydration in the grapes. The region experienced a “normal” winter – cold with 15 days to 3 weeks of negative temperatures (-3 ° to -6 °C). Thanks to pruning later in the season, the bud break happened at the beginning of April, but rapidly. The vines grew very quickly, which meant that both the first and second buds were touched when the frost passed at the end of April. The temperatures that followed were cold over ten days, preventing the vines from “leafing”. 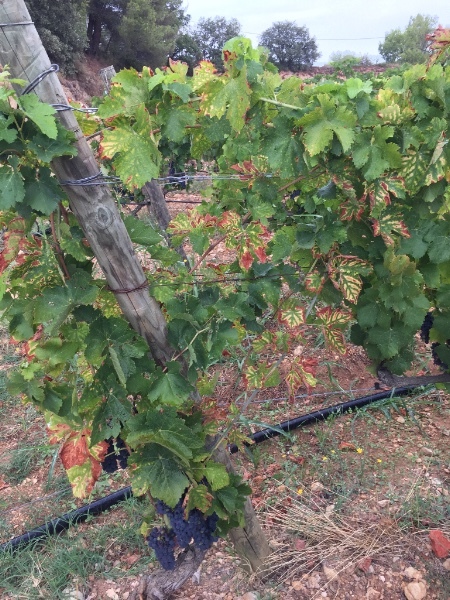 This vegetative stress may explain the coulure suffered by many winegrowers in the region. From our inspection of the vines and clusters of bunches, the 2017 quality is superb, but the quantities are very low. 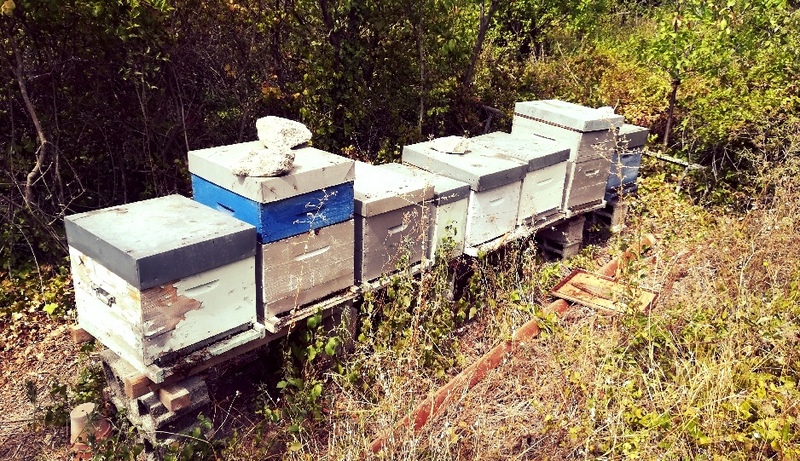 This year will also see a drop in production for honey! Thomas, our favorite beekeeper with 8 hives, thinks he will not produce more than 5 kg. Aromas of sweet hay, quince and lemon pith jump from the glass. A touch of cheese rind makes this wine salty yet juicy, with an incredible creamy, dry finish. Nose of garrigue and ripe red fruits : Cherries and currants. The mouth is very soft, with silky tannins with a distinct fruitiness. Fanny and Thomas are thinking of developing their range of wines with another Vacqueyras, red this time, and also a white from the Rhône. However, with this very small 2017 vintage it will not be simple! For the moment, the Ventoux rouge is vinified only in concrete vats and stainless steel without barrel aging. A second cuvée of Ventoux could also be born, but this time benefitting from barrel-aging in old wood. This would allow the final product to have both ageability and complexity, while preserving the fruit and not imparting strong oak notes.